Now as kids our main transportation was a bike. I can’t even imagine how many miles we as kids put on our bikes. We rode sometimes from sun up to sundown! I recently took a family vacation back to New Mexico and as we drove around I realized we really did ride everywhere on our bikes. This little story I’m about to tell is one occasion that I’ll never forget. (My dad):“What wheels would you like?” (Me): “What wheels? All the bikes have wheels? “What color would you like?” Color? Color! He’s getting to pick his color?!! As I listened to this conversation I was confused? Why was my brother getting to pick out his entire bicycle piece by piece. I was confused because he had a bike and I wasn’t sure what was wrong with his bike. I rode his bike all the time… There wasn’t a thing wrong with that bike! Plus there were bikes to choose from everywhere around us? I’m thinking just pick one from the rack! It was his birthday but as he started picking out pieces of the bike it became clear that this bike was going to be an expensive bike! Not only did I get to go pick out the bike and watch him pick out each part of it piece by piece I got to see the final product my father actually took me to pick it up. It was a beautiful bike. Everything was chrome in color perfectly aligned stickers brand-new wheels brand-new rims perfect petals and it was beautiful! So on Greg’s birthday we unveil the bike and he had no idea what the final product looked like he had an idea in his mind but we saw that he loved and the first thing I wanted to do was ride that bike but did he ask me if I wanted to ride it, no I probably didn’t get to ride that bike for six months! Oh I tried my best to ride that bike but he watched it day and night I couldn’t get near it without him knowing it. When I did get near it, it was like a scene from “ Step-brothers” he knew that bike was touched and he knew where every fingerprint was every detail of where the tires were and even if I touched the handlebars!! Needless to say it took me a while to ride that bike. But there was hope on the horizon his birthday was in May mine was in February so around Christmas time I started hinting that I needed a bike for my birthday because I knew that if he had a bike I would be able to get a bike. So I started looking around the neighborhood at other bikes because of course I had to have a new bike. 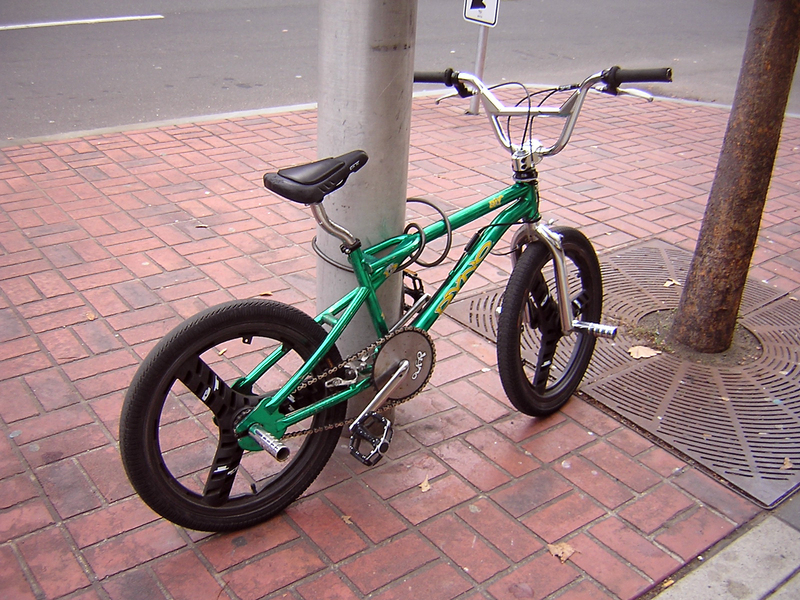 I started looking at mongoose bikes, Huffy bikes and all different types makes models and brands. I mean it wouldn’t be fair if I didn’t get a bike and my brother got a bike. That wouldn’t be fair at all to have such an expensive present and I know it’s the thought that counts but we siblings fair is fair!! So around January we still haven’t gone to the bike store and at the end of January we didn’t go to the bike store? It’s the beginning of February, no bike store? Middle of February, no bike store? I know!! Greg and my father went to the bike store earlier to surprise me on my birthday. I wasn’t picky kid anything new would suit me fine! My birthday comes and goes, no bike…. This is the dedication of my book. Take a moment to read this I appreciate it!! Thanks! I want to dedicate this book to my kids I love you all with all my heart none more and none less I love you all equally!! It’s also devoted to my wife who I love very much and has been with me through thick and thin and I would not have made it without you. You have believed in me from the start and have given me positive outlook it takes to take something like this on. Also to my parents who love!! I thank God every day you had me! Also to my brothers and sisters you were friends, playmates and companions without you all I would cease to live. To my great-grandparents and grandparents if you wouldn’t have had my parents I would not be here I want to thank you for the way you raised them as children I would not be the person I am today if you would have raised them differently. I watched you all of the time and modeled my work ethic after you and the way you instilled that in my parents. My aunts and uncles who are always there for me and who are wonderful! When you would visit me we always had fun. We had great conversation and I love you all. To my cousins the brothers and sisters of my parents siblings you guys are wonderful I love you too even though we don’t see even though we didn’t see each other very much when we did we had fun. To all the acquaintances and friends I’ve made throughout the years. All of you have touched me in one way or another life wise. All of you have been great friends to work for. I have to explain why I’m writing this book. I’ve always wanted to write a book about my life to let others know how I lived it. This is not a vindictive book or a book to explain how I should’ve lived its just to let my children and anyone else that wants to read it know what it was like from my eyes to live my life. Now just like every story there’s always two sides to a story you can tell five people same thing in all the all have a different result this book is from my eyes. I lived a very happy positive life. Sure I had bad days and good days but mostly good. As you’ll see with my dad. My dad early on was very disciplined with me and he wasn’t the friendliest. He was my parent and he treated me that way later on he became my friend and I think you’ll see that. This book is to account for most of the things that I can remember in my life. Since I was in the Navy for most of your lives you were not with me so what I remember is limited. #4 Greg, my brother, my best friend!! This is the story of my life. 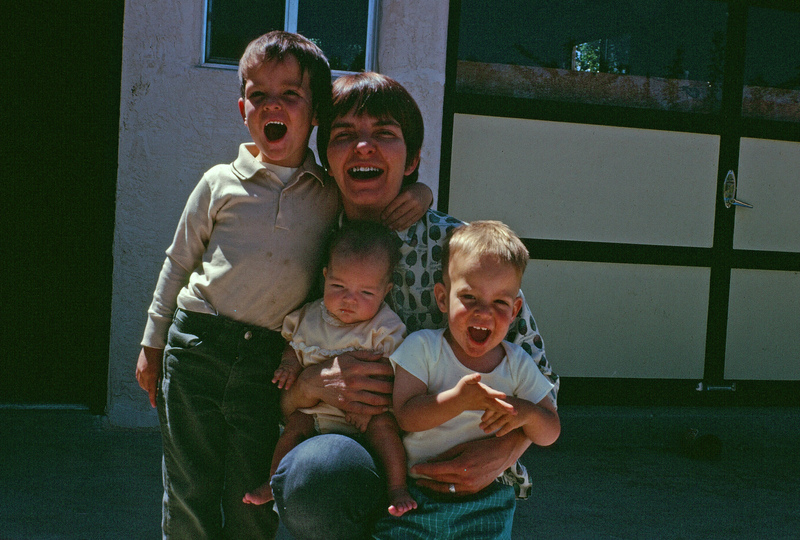 I’ve been writing about my siblings now. Take a minute to read this and hit “like” if you care to do so. Thanks!! What’s there to say about Greg. Greg was born premature and he could fit in a shoebox. My brothers claim to fame for about the first 15 years of his life. I’m kidding! There was a reason he would say this. Greg is my younger brother. For most of his life he was very little whether that was due to him being premature or not he was always small but he was one of the toughest, roughest, meanest people I know. Greg would stand his ground on any issue against any thing and put up a great fight. In that regard Greg was always looking for fight. The earliest I remember Greg is when we were in Colorado Springs with the family and he was in his walker and he spilled hot coffee all over his leg and I remember rushing to the hospital in our uncle Mike’s Lincoln Town car(Tank) and Greg is screaming in the backseat with me. I’m crying because I was carsick and my uncle Gary was holding me. You have to understand when we are rushing to the hospital I would say there was close to 8 to 20 people in this Lincoln Town car that my Uncle Mike always used to drive. Seriously there was at least eight people and we were flying down the backroads trying to get my brother to a hospital. After that Greg had no ill effects from his burns and he recovered. Greg was always the protector of me or so it seemed. I was the one that was less confrontational. He was the one that was confrontational. If I needed help with anything he always had my back. Like most every little brother(s), he always had to go with me everywhere we went. He always wanted to go with me and be by my side and do most everything with me. In hindsight this was awesome! I got to spend a lot of time with my brother and I always had a protector and I always had someone to play with. In the early years he had a lot of friends and I had a lot of friends and over time I grew to have less friends then he did and then I always wanted to go out with him and now that shoe was on the other foot now he did not want me to go with him. Not all the time but sometimes. Around high school when we went to Evangel Temple Greg played a lot of sports and he excelled at that. We both excelled in sports and he was a high school quarterback for a while and very good at that. We played basketball together all the time. Greg and I were very athletic and we competed against each other, constantly. We played soccer, football, and basketball and if there was a sport to be played we played that sport, together. When we played tennis he and I were very competitive against each other, and we all know who came out the victor in that. Right?? How many of you had siblings and what did you do for fun? Suzanne had a rough life. It seemed like her and my father were always at odds with each other. I’m sure he wanted the best for her. As I got older he began to soften up to her. Some things that I remember about Suzanne was that she was always an excellent singer and musician. She played guitar and other instruments and one day she had a band come to the house and they set up their all their instruments and they start playing rock music in our living room and my father came home and had a fit. She was also a great cook! She made some pretty interesting food sometimes. I remember one time she made this batter and fried everything we ate one time. I liked everything except the fried okra. My sister was always an excellent teacher and that’s where she strived and excelled. She taught kindergarten and she taught at other schools who taught Bible studies. When I was in eighth grade she met a man named Matthew. He was in a band named “Genre”. He played the keyboards and was a very talented musician. She ran a daycare out of her house when she was married to Matthew. She was always looking to teach someone and always wanted to help children. For whatever reason things didn’t work out with Matthew and she divorced him after a few years. After a couple of years she married Van and still continued to teach at a Montessori school. She was married to Van for quite awhile and I would always be at her apartment taking care of Nathan. Van worked nights so I was there to keep him as quiet as possible. Around this time Cecily was born and I got to take care of her and Nathen. The were quite the pair. For the most part they were good to each other and played well. Then the day came when Suzanne told me she was moving to Hawaii. She was divorcing Van. This to me was devastating. I loved Van and not being able to see and talk with him anymore crushed me. He was a mentor that I’d always wanted and now he was gone. When she divorced him she had an opportunity in Hawaii to teach at a Montessori school. I thought that was an awesome idea and would be great for her! Little did I know that was a going to be a rough road. Hawaii is very expensive and living there can be tough. It hasn’t been easy for her but she has had some great moments while living there. She had two more children Kianna and Kawika. I’ve never met them I’ve only spoke with them over Facebook. As years passed and I joined the Navy. In September of 1995 my mother died and Beth and I flew back to New Mexico. With my mother’s funeral and we actually got to see Suzanne and she did not look good. She had a broken wrist and she appeared happy on the outside but I knew she was struggling on the inside. She flown in with my sister Diane who at the time was living with her in Hawaii and she would take care of her and the children. Years went by after that before I spoke to Suzanne again. A few years ago I connected with her online and I’ve talked to her couple times over the Internet and she seems happy now and she’s living with all of her kids which is good and they all look out for each other and take care of each other. Suzanne’s children’s names are Nathan who I took care of the first five years of his life, Cecily who just had a baby recently and her name is Danzi, Kianna and Kawika. I know Nathan and Cecily because I took care of them when I lived with Suzanne but like I said previously I never met Kianna or Kavika. I’ve spoken talked with Kianna over the Internet and Kawika I have never talked to. My brother has talked to Kawika and he says he’s very smart and very talented and just all-around great person. He lost his leg when he was young. He was given the opportunity to save his leg although it would take many many surgeries to fix it but he was given a choice himself to have it amputated because he believed that he would be for the better. I love Suzanne very much she’s an awesome sister and my only wish was to see her more often and to communicate with her more I know distance has a way of keeping us apart to be in touch. We have Facebook but face-to-face contact would be better.